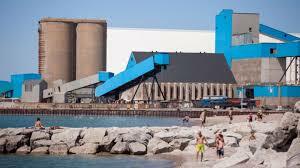 GODERICH – Members of Unifor Local 16-O have voted to accept a collective agreement with Compass Minerals, putting an end to a 12-week strike at the salt mine. “These members stood up to an American employer that was using scabs to undermine their power. I am so proud of the incredible solidarity we have seen in Goderich to send a clear message that scabs will not be tolerated by our union,” said Jerry Dias, Unifor National President. The new three-year deal includes a 2.5 per cent wage increase this year and next, and a three per cent increase in 2020, and maintains previous pension and benefits. The strike began April 27, when workers rejected a company proposal that included mandatory overtime, 16-hour shifts and 72-hour work weeks. “We pushed back on all of those concessions, with the support of this community as thousands of people attended our rallies, concerts and events on this picket line. It was powerful and that solidarity helped us at the bargaining table,” said Scott Doherty, Lead Negotiator and Executive Assistant to Unifor’s National President. The company returned to the table last week after Unifor barricaded the mine and refused to allow any more busloads of scabs to cross the picket line. “We want to thank the people of Goderich and all the union members who stood with us on this picket line but most of all I want to thank our members and their families who stood strong with our bargaining committee through 12 long weeks,” said Gary Lynch, President of Local 16-O.